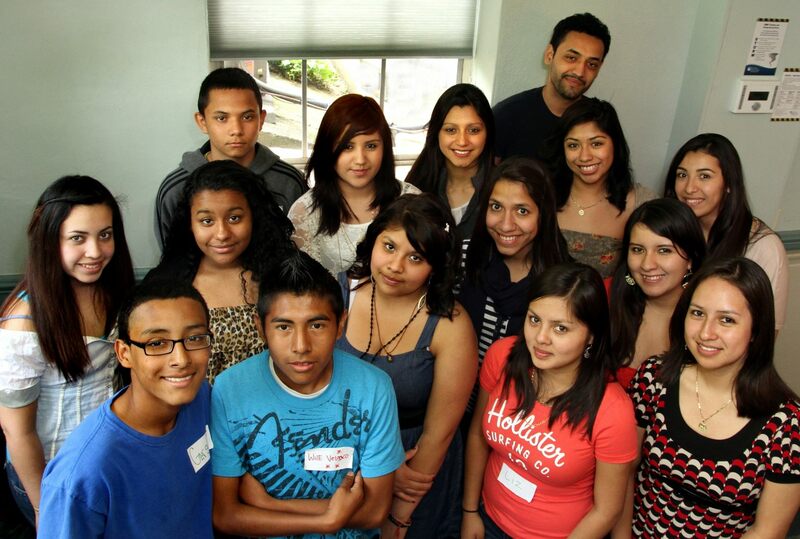 This post is from SVSLI Scholar Raul about giving back to the community. On a Saturday morning last November I (Raul) and the other scholars (Dulce and Willy) along with the mentors (Luis, Sergio, and Andrea) went to a downtown church in Harrisonburg to prepare and give out bag lunches to the homeless people in our town. We arrived at the church where the people would meet for lunch and where we would prepare the meal. The people in charge were thinking that since we were teenagers, we would forget and not come to help. But we proved them wrong. We showed up and worked hard. We, scholars, were in charge of making bag lunches and serving food. The mentors were in charge of making the main dish. It felt good that day because we saw many smiling faces walk out after they had a good lunch and got a meal in a bag lunch for that evening. It made my friends and me feel all warm inside. We fed around 45 hungry stomachs that day. The people in charge invited us to come back and help again. One person even wrote an email telling Mrs. Mercer that they were very pleased with how well we worked and that we were welcomed to come back and help anytime. As SV-SLI scholars, we don’t just sit around for three years. We take hard classes in school and try to do our best in and out of school. One way we do that is by giving back to our community. In the fall of 2012 we only did one service project—helping with lunch. But this spring we plan to do two projects in the community. We plan to go back to help with lunch at the church. Then in April we are helping at the Big Event at JMU where we will participate in service projects alongside our mentors. So you can see that SV-SLI is not just about us. It is also about giving back to our family here in Harrisonburg, VA.